Another Clozetters Meet Up that I attended this month and this time the theme was 'Travel in Style'. 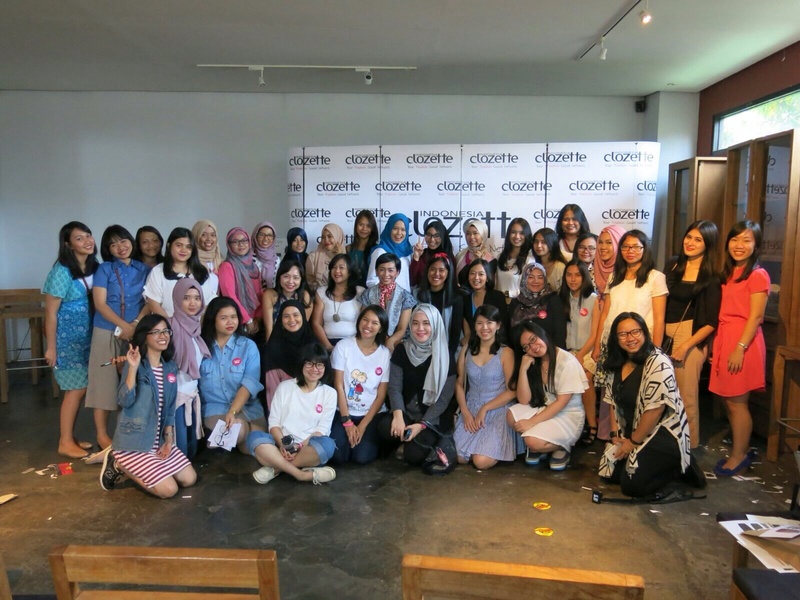 Clozetters Meet Up was held at KOI Kemang last October 10th and the event was started around 11 AM by the host, Jovita, who is best known as one of presenters of Jejak Petualang, a tv show about traveling around remote areas in Indonesia. Oh yeah, she's also a travel blogger. Kadek shared her experience about traveling in Indonesia (central Java and Sumba) and Japan (Kyoto and Osaka). Main point of her experience was how to travel in affordable budget. 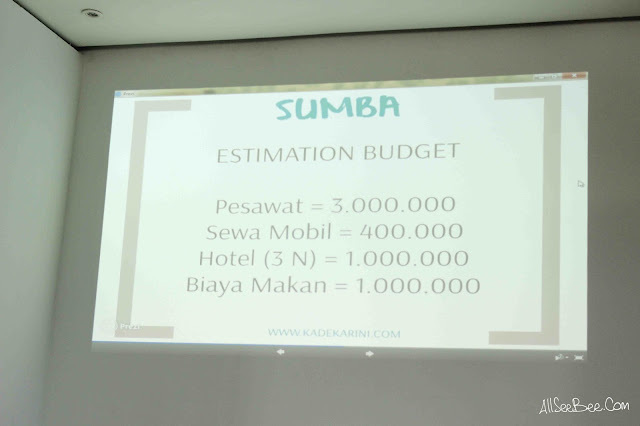 Like this example of her budget estimation when she was traveling to Sumba. Her tips on traveling in affordable budget was to go travel in group, because sometimes when you travel in group your expense of transport (car rent) and guest house will be divided based on how many people that traveling with you. So, you could save your money from that. She also shared about places that she has been visiting in Indonesia and Japan. But the things that attract my attention were her tips about packing and beauty essential that you have to bring when you are traveling. She used to pack her stuffs in separate container like this. So if you are going to travel for let say six days, you need divide your clothes based on what day you're going to wear them (e.g. day 1 and 2 in one container). Or type of activities you're going to do (e.g. swimming, you need to put your swimwear in one container). Or based on the type of clothes of stuffs (e.g. underwear, put them in one container). It was so smart! You'll only need to open one container for two days clothes and your suitcase will remain tidy. After that you could use the container again to store your dirty clothes. Mbak Vesta also shared about her beauty essentials during traveling. The most important thing is skin care! From head to toe! 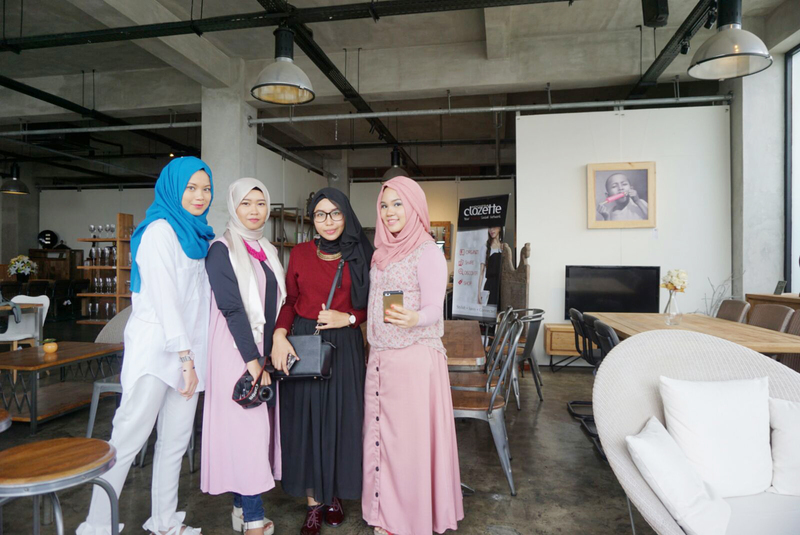 Three lucky girls who asked questions to Kadek and Mbak Vesta got shopping voucher. Next session was Hada Labo session. Hada Labo representative gave us an information about skin problems that we usually find during travel and how to maintain and keep your skin healthy during your vacation. After lunch, it was usual in every Clozetters Meet Up to have a mini games. This time, the mini game was creating travel looks based on theme that was given by the Clozette Crews. There were four different groups and I was in the City Look group. The winner of this mini game was Winter Look! Ina was one of the member of Winter Look group. Look at he mess we made. Hahaha, paper cuts are everywhere. Hada Labo has a special booth that allowed us to have a free face skin check that time. I did mine and it turned out that I need more protection because my skin was burnt a little bit. Alright, thank you for visiting and reading this blogpost.